There is no gathering in the world like the Hajj. More than 3 million people have never converged in a single spot engaged in the same thing at the same time but on pilgrimage to the Ancient House in Makkah. For this unique feature, Hajj has peculiarities some of which I desire to address today. Muslims spare no expense and bear any inconvenience on their way to the Holy Land for the performance of Hajj. With or without government’s involvement in Hajj activities in Nigeria, for instance, Muslims will continue to be on the pilgrimage. Hajj, to us, is a religious obligation, a pillar of our creed, and not an innovation in faith, without textual proof, and it is not done in order to cut a share in the national pie. Since today’s piece is on the peculiarities of Hajj, and the type of visa for this religious journey is part of what it intends to address, I will use this chance to clarify the matter. The people who made the above comments did not know that I, and any other Hajj tour operator, was not affected by what was happening at the time. The international pilgrims have not yet started travelling for Hajj 2012. We start airlift of our hajjis about 10 days to the actual pilgrimage. Our clients do not want to stay for more than two weeks in the holy land. The said commentators did not know also that there are different laws governing the visa process of Hajj tour operators on the one hand, and state pilgrim boards on the other. The state pilgrim boards and agencies have certain privileges and relaxed conditionalities over Hajj tour operators due to the enormous number of passports that they handle. The Hajj tour operator will hardly find himself or his pilgrims in the situation that the state pilgrim boards found themselves recently over the issue of mahram. Every office of a registered Hajj and Umrah tour operator is a quasi-branch of the Saudi embassy or consulate when it comes to visa processing. We have access into the Saudi Ministry of Foreign Affairs (MOFA) website where we can process all kinds of visa: diplomatic, residence, work and visit. Other visas we can process are: medical/student, commercial or business as well as Umrah and Hajj visas. What the embassy or consulate does at the end of the day is to use the bar code we generate through the e-MOFA number (a special code that is automatically generated after submitting the details of each visa applicant online) we get from the website to print the visa on each passport. The bulk of the work is done by the tour operator, and not the embassy. The website is so sensitive that if due to a slight error the entire process of registering a passport or group of passports was aborted, you have to start all over again. The passport sized photograph of each applicant, for example, has to be captured and uploaded in accordance with specifications given on the page for appropriate height, width and pixels; otherwise the site will reject it. If the visa applicant is a female or a child below 18 years, there must be a mahram - FATHER, HUSBAND, SON OR BROTHER. The mahram must himself be above 18 years or the whole process will be automatically rejected. Another strange one is that you can only use Microsoft Windows Internet Explorer 6 browser to do the process; any higher version or different web browser will result in errors. You may find that your pictures will not upload, for example, as a result of this difference. All international airlines are well acquainted with the visa requirements in Hajj and Umrah, and there is an imposition of a $10, 000 penalty per head on any airline that boards a pilgrim to Jeddah or Madinah with deficient entry documents. 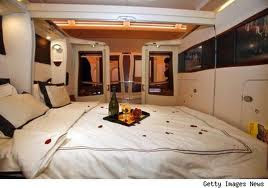 Emirates Airline which my company mostly uses for its operations is the strictest in adhering to the Saudi mahram rule. From Lagos, all pilgrims are scrutinised for any discrepancy in mahrams and related issues. No female pilgrim will check in without a mahram. Hajj pilgrims are given only one boarding pass; that of Lagos to Dubai. They can claim the other connecting boarding pass for the other leg of their journey, i.e. of Dubai to Jeddah or Madinah after crossing the more intense hurdle of mahram rechecking at the Dubai International airport by Arabic speaking Emirates staffers who seem to take delight in stalling your onward leg if you have mahram problem. "Sorry sir," they would say, "you can’t travel". And that is it! No amount of pleading or persuasion will make them change their minds. At times some so-called VIPs in Nigeria will force their way into the aircraft in Lagos, Abuja or Kano on the wheel of protocol concession. But in Dubai and other international airports we are all equal; you are only VIP in Nigeria. Emirates will not risk boarding anybody - no matter what that person thinks of themselves - without proper travelling documents to Saudi Arabia. So there is no way we, as private Hajj operators will have mahram issues like the one witnessed recently with pilgrims from state boards and agencies that operate direct flights to Jeddah and Madinah. On account of what I have stated here, in our ten years of operations in Hajj and Umrah activities, there was not a time that our pilgrims were deported for lack of mahram. I am a sinner. I sin by day and night; unless Allah forgive and have mercy on me, I will be undone. But twisting religious position to achieve mundane ends is not part of my sins. Also, sugar-coating truth to please any mortal is not part of my iniquities; praise be to Allah. What I did in that piece was to state the different positions taken by ulamaa on the permissibility or otherwise of women performing Hajj without mahram. The divergence of opinion has been there even before the impasse at Jeddah and Madinah airports with our female pilgrims. It was not an attempt to protect any business interest. Those women are our mothers, sisters and wives. Above all, they are Muslims whose only crime was that they said they want to be the guests of Allah. I do not know whether the commentator knows that of the four schools of Islamic jurisprudence that are widely known, two (Shaafi'ee and Maaliki) are of the opinion that women can travel in safe company for hajj; even though the Shafi'ees specify that it can only be for the first hajj. Did these legendary scholars also have some paltry worldly gains to consider when they opined thus? The mahram issue was centred on the state pilgrim boards and the Saudi authorities who knew very well the position of Nigerian Hajj authorities on female pilgrims and have never questioned the mode of operations for state pilgrim boards and agencies (incidentally, most Nigerian scholars lean to the Maaliki school). There was more to the issue than met the eye. President Jonathan’s envoy, Honourable Speaker of the House of Representatives, Aminu Waziri Tambuwal, must be commended for the successful resolution of the crisis. Alhamdu lillah, Hajj 2012 is over but serious stakeholders have started revising their notes, paying attention to causes of hitches and how to avoid recurrence of same in the operations of Hajj 2013. Their study will also focus on areas of strength and how to enhance service delivery so that pilgrims will have real value for money. Ticketing for Hajj, for instance, is not like ticketing at any other time or season. Most of the flights to Jeddah and Madeenah airports will be closed (they are the only airports a pilgrim can enter the Holy Land from). You will not be able to confirm many seats especially in the economy class. The airlines hold such seats and give them out to groups. So, if you want to put your pilgrims in the economy class you have to get confirmed group seats with fixed departure and arrival dates directly from the airlines. On Emirates Airline such group economy seats are only available, for pilgrims from Nigeria and many African countries, on Jeddah flights. All flights landing in Madinah are given to those countries ‘who can pay better rates’, whatever that means. This is what we were told when we asked why our pilgrims were not given the Madinah flights. And who says Nigerians cannot pay? Our pilgrims paid N375, 000 for group economy seats to Jeddah. This is what other airlines charge for full economy or even business class seats. 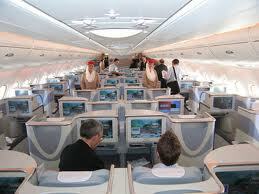 Our pilgrims could only be confirmed on either first or business class seats on direct flights to Madinah. The problem here is with members of the same family or group travelling for Hajj. Yes, all will be on the same flight to Dubai, for example, but that family or group will be split on the Dubai – Jeddah or Dubai – Madinah sector of the journey. The dilemma is with families and groups consisting of female pilgrims – they must all travel in either business or economy class - as they will not be allowed into Saudia without their mahrams. Only in Hajj will you find this kind of situation. The pricing of tickets, though not peculiar to Hajj seats, is another area hardly understood by pilgrims. Unless you are issuing group tickets where the price is fixed, you seem to get all sorts of rates for the same type of tickets, travelling on the same dates, to the same destination and on the same class. During this year’s Hajj we issued business class tickets on our dates of travel at about N855, 000, while others were as low as N600, 000. A couple came for first class tickets; the wife’s ticket we got at N1, 200, 000; that of the husband, confirmed hours later, was N1, 500, 000. How on earth will a pilgrim take this calmly if not for the fact that the price of each ticket is generated electronically and is written on it directly from the airline? Incidentally, some pilgrims seem to think that the high prices are influenced by the agents; this cannot be farther from the truth. The truth is that as one agent is reserving a class of seat, another is reserving the same class. The electronic system queues up the requests based on time and searches for available seats that match the criteria of the seat requests. It gives you whatever it finds within the class you requested regardless of who you are. When the agent sees the fare, he makes an adjustment by asking for the best available in that class. As a result, you will see varying fares due to subclasses under each class of ticket. 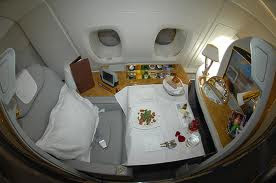 There are at least 3 first class types on Emirates’ Lagos-Dubai route, for example. The prices are not the same! Non availability of refund for services paid is another unique feature of Hajj. Whatever you paid for anywhere in the world and could not use due to any unforeseen circumstance, you are refunded at least in part if not completely. You may at worse be charged for cancellation fees in some cases or no-show fees. But in Hajj, you lose almost everything. For the tickets, if you happen to buy a full economy, business or first class ticket, you can place it for refund – even then what you get at the end of the day is far less than what you paid, as the airline will deduct other charges from the total sum. As far as group tickets are concerned, you get nothing from the airline. Some may argue that this is harsh but the airlines have their own valid points too. In 2008 for example, there was a flight to Jeddah out of Lagos that was short of about 79 pilgrims. That year, visa issuance was a problem and many people were yet to receive visas before their flight dates. They missed the flight and the affected agencies applied for and got refunds for that high number of passengers. Dubai was not happy and ever since, they have been devising ways to cut their losses. Remember Hajj group economy seats are blocked all the way to Jeddah; no one can book them except agents. It was a substantial loss to them and so, here we are! On your accommodation, transport within Saudia, Arafah/Minaa tents and feeding, you will get absolutely nothing once you cancel your trip when it is only few days to departure. 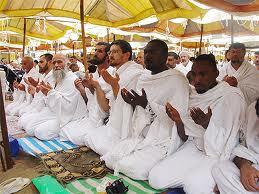 Hajj services are arranged and paid for according to the number of pilgrims in a group. What the hotels and other service providers do, after collecting full payment from us, is make the Hajj tour operator sign a binding contract for the rooms required, to check in and check out at an agreed date according to the group’s movement. With the ratification of such contract, no alterations are permitted in terms of number of rooms decided upon or check in/check out dates. 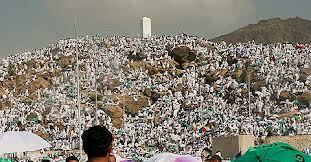 If any or all of the pilgrims could not make it to Hajj, that is the problem of the Hajj tour operator. As far as the hotel is concerned the rooms are occupied and paid for. This is Hajj! The situation in the tents is not any better. Now in the A Tents (in the Additional Services Tents of the Mu’assasah) you have to pay for a number of tents according to the number of your pilgrims. Each tent cost SR60, 000 (N2, 400, 000) and accommodates only 8 pilgrims. That is about NGN300, 000 per head. The en suite ones go for even higher; one tent accommodates just five pilgrims and has the added comfort of an en suite convenience. One of such costs SR70, 000 (NGN2, 800, 000). All the prices I have quoted do not include the agent’s profit. And here also as in the case of the hotels, complete payment is required and contract signing. Nobody cares whether one or all of your pilgrims could not come to Hajj; any refund process is out of the question! Jazakallahu Khairan. sincerely this is a clear explanation. I have learnt a lot from this. My collegue said he went on hajj for his father who died and never made it to Makkah. How does that work? It would be extremely honourable if someone does hajj for you. What's the rationale between a close friend/family member doing hajj on your behalf because you're too sick or poor to make it? Can it reward in extra credit for both people? Can it be counted as though both of them have gone on hajj together?